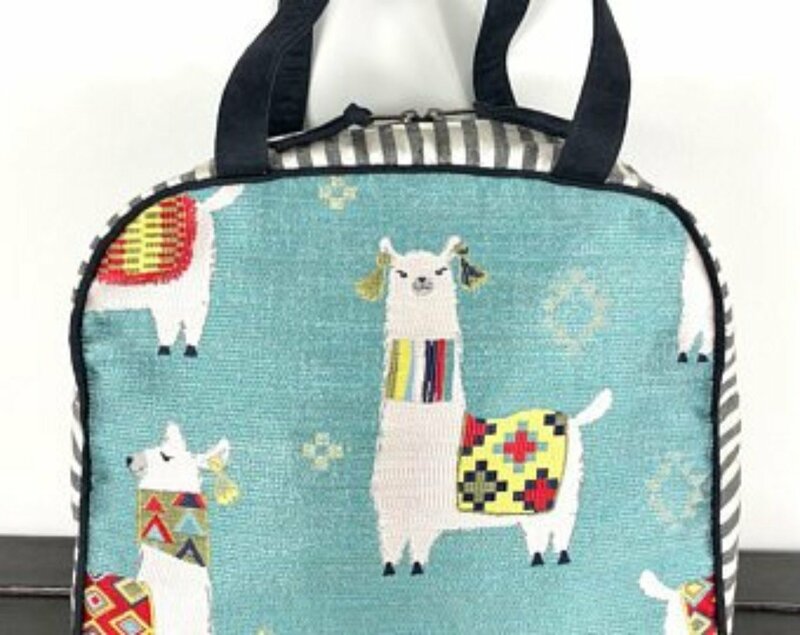 The Atenti Mamallama Blue Bonnie Tote: Fun and trendy llamas woven into a jacquard. This TWA airline inspired bag is built like our overnighter, with double straps, four metal feet, a 24" zippered opening and a full water resistant lining. Inside are a zippered pocket and a divided pocket with a cell phone slot. 14” wide x 13” tall x 7 deep.